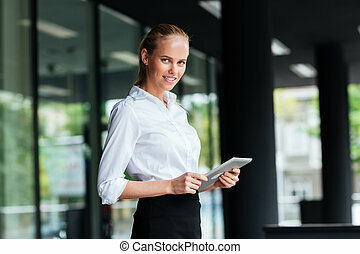 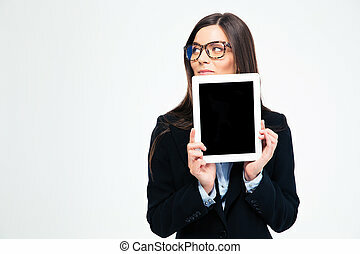 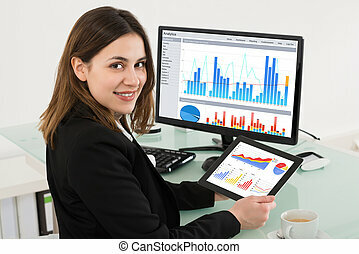 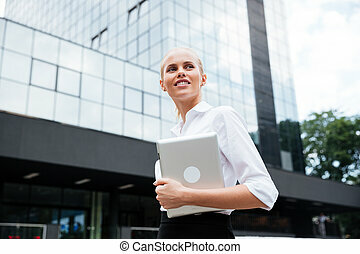 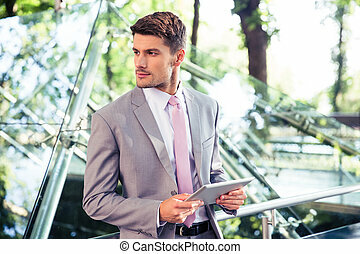 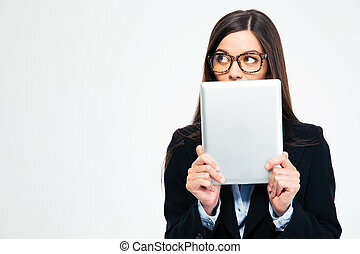 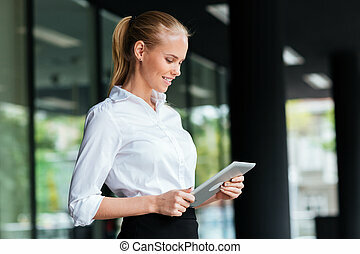 Businesswoman holding digital tablet while looking away against office building. 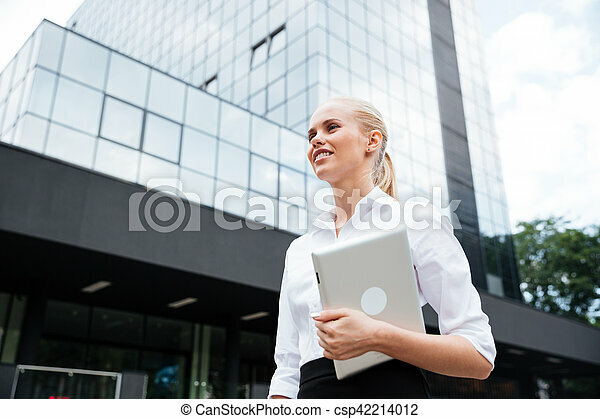 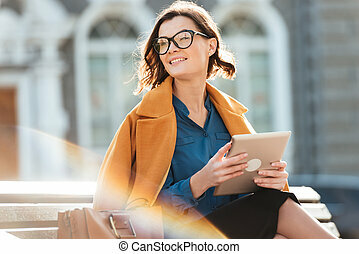 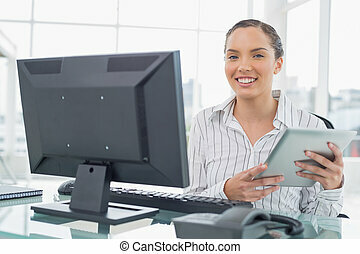 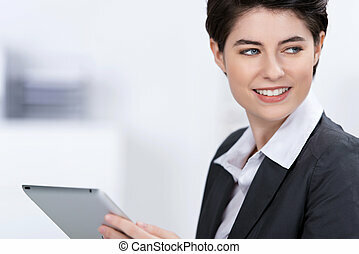 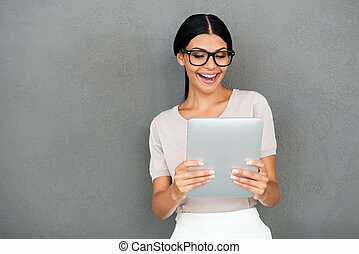 Young smiling businesswoman holding digital tablet while looking away against office building. 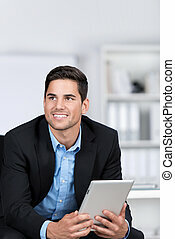 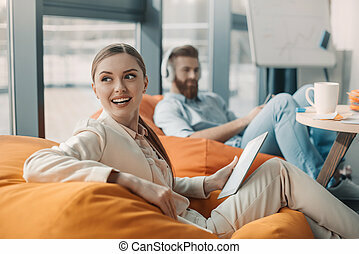 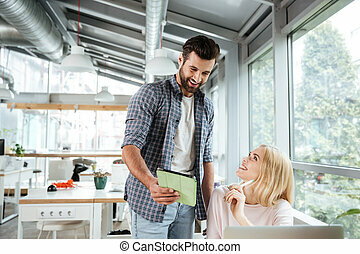 Picture of young smiling two colleagues in office coworking while using tablet computer. 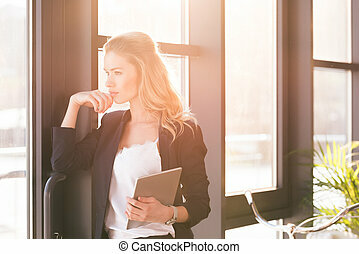 Looking aside.